When we first got the email about this campaign it was so creative and awesome we just had to share it. SPCA Singapore has launched a new campaign called ” Adopt a Meme ” and this thing is truly out of the box! 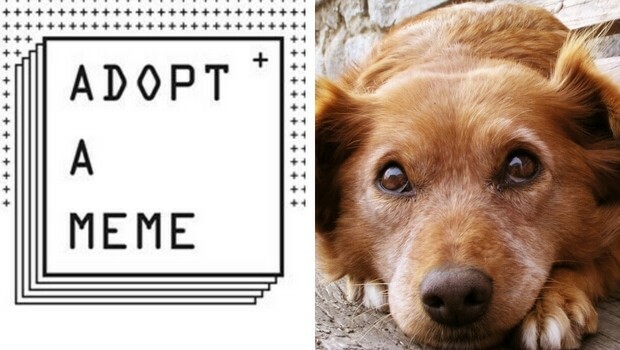 The campaign aims to help animals get adopted in a way that they created a series of cool animated GIF memes featuring real adoptable shelter animals. Each meme was created based on each animal individual personality, how cool is that? Now we’ve got a really good reason to share and like these memes, because every share helps spread the word about animal adoption and let’s face it, they’re also cute AF! These new memes totally replace the old way of raising awareness to animal adoption like regular posts and tweets that people are used to and usually ignore. The Society for the Prevention of Cruelty to Animals ( SPCA ) in Singapore is dated all the way back to the 1800’s. From that time until 1947, there are some missing details about this organization, but after the Japanese occupation in 1947, The SPCA was revived by Englishwoman Miss Lucia Bach who used to ran a boarding house and took care of unwanted stray animals. But let’s not forget about what’s important here, adopting animals from these cool memes! Take a look and head over to the SPCA site to find out if you can give a home to a cute dog or cat. Don’t forget to head over to the Adopt a meme website and give a shelter animal a loving home. Oh and also share this please!